In June 2019, over 125 honor student musicians will gather for three days of intensive rehearsals and a performance prior to departing to seven European countries for a 16-day tour. David Burton and Katie McLaughlin, both of Lynchburg, have been selected for this honor. Burton and McLaughlin are members of the Lynchburg-Clay High School music program, directed by Mr. Paul McCalla. Burton is the son of Tiffani McClain, and McLaughlin is the daughter of Jason and Sara McLaughlin. 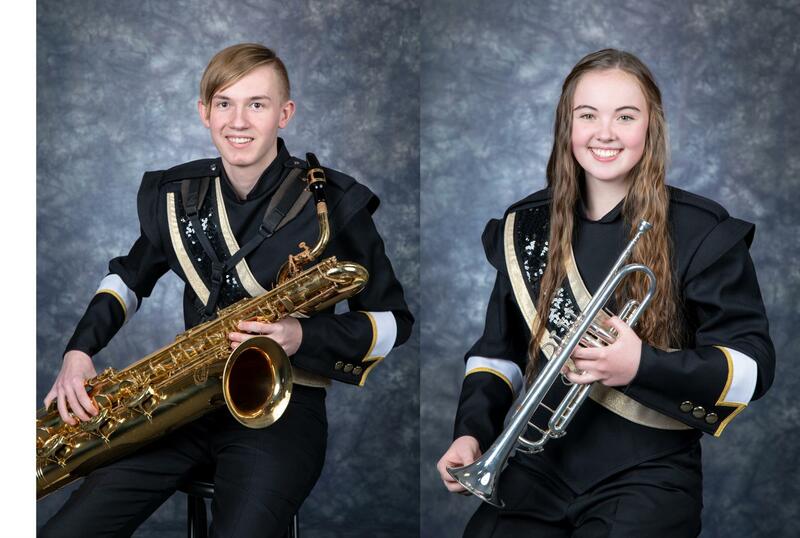 Students were nominated for the 2019 Ohio Ambassadors of Music tour based upon their level of musicianship, leadership and character and were selected for participation by invitation based on the recommendation of their director. Each nominee received a copy of an Ambassador of Good Will proclamation from the governor’s office honoring their selection. Dr. Bruce Moss of Bowling Green State University will serve as music director for the tour. Moss will conduct the Honor Band, and Dr. Richard Schnipke, also of Bowling Green State University, will conduct the Honor Choir. Mr. Brandon Gordon of Bryan High School will conduct the Honor Orchestra. The tour is designed by Voyageurs International, a Denver-based agency specializing in European music tours for numerous states throughout the country for 49 years. This is the 12th such tour in the state of Ohio since 1997. A pre-tour concert will be held in June of 2019, with publicity forthcoming the month prior. The Ohio Ambassadors of Music honor band, chorus and orchestra will share their music with European audiences in seven different countries and in a variety of performance settings. The tour will include stops in England, France, Switzerland, Liechtenstein, Austria, Italy and Germany. The Ohio Ambassadors of Music tour is an educational program designed for honor music students to perform and share their musical talents, while gaining cultural enrichment abroad.